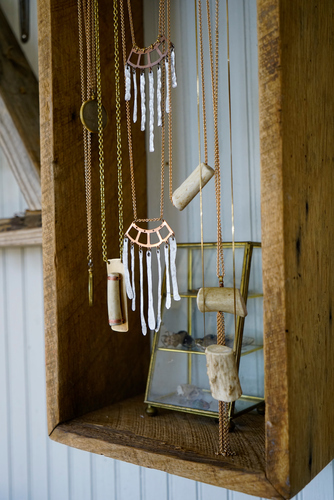 Anne Conway creates jewelry in her home studio from hand-sourced vintage and re-purposed materials. 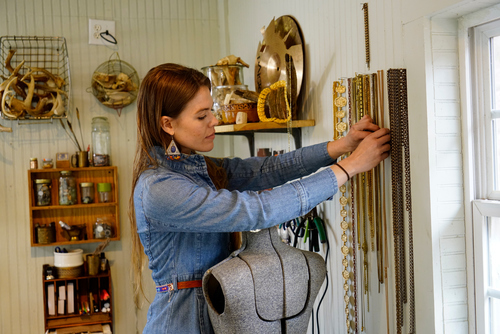 Visiting antique shops and Birmingham’s urban terrain, Anne thoughtfully selects her materials for their unique quality and history. Her aesthetic merges femininity, unconventional beauty and instinct, creating pieces that are versatile and unique. With a focus on the relationship to the body, it is Anne’s hope that her pieces form a dialogue with the wearer and evoke feelings of beauty and strength.